After a great start to the season I was keen to head down to one of my favourite systems to see how it had fared after the long winter break. 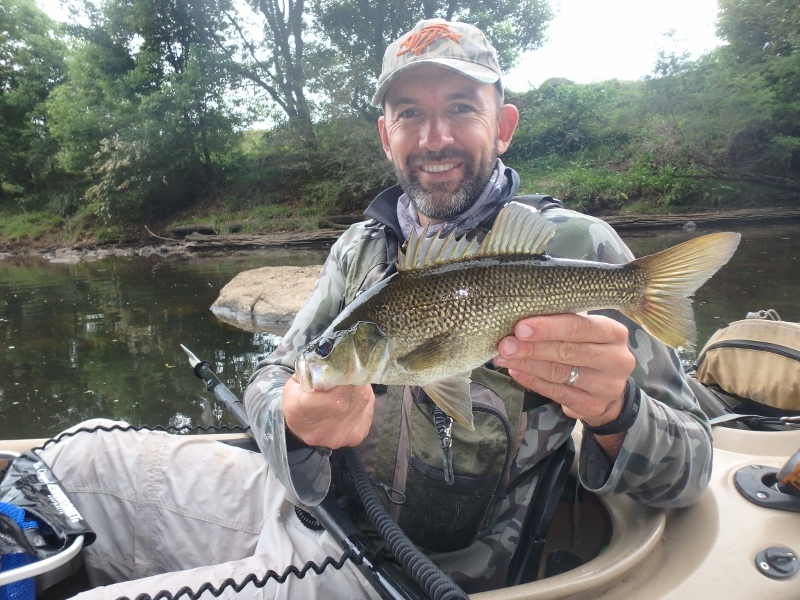 This particular trip can be one of my toughest adventures depending on water levels, and this time, upon arrival Rod and I knew there was going to be some tough portage due to the low river levels. 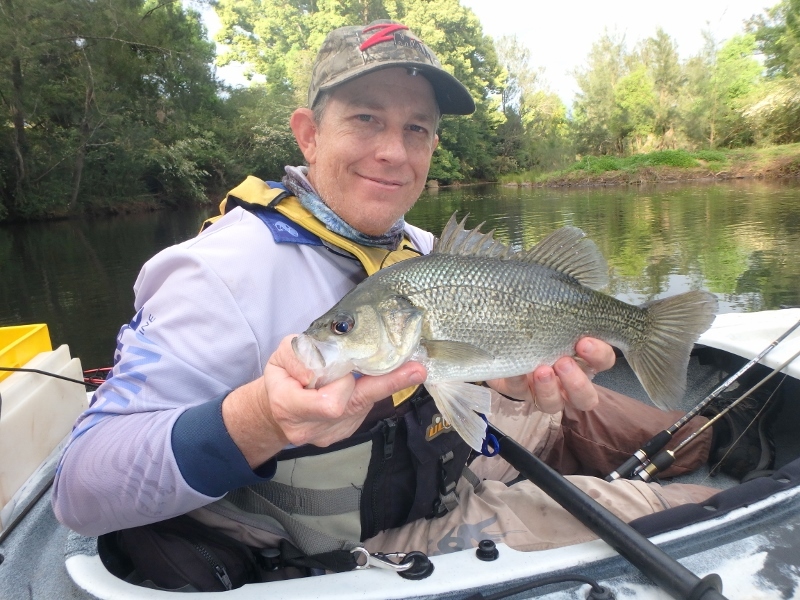 As with all my bass trips, an early morning start was essential and we were on the water by 5AM to perfect conditions. We knew it would not last, as the winds were predicted to be quite high in the morning, and although the forecast indicated they would drop off a little we knew it would still be far from comfortable. The large amount of leaves and debris coating the surface also gave the indication that the winds had been up recently as well. Much to our surprise there were also a few intermittent drizzly showers around, and at least one point it got heavy enough for us to seek cover. 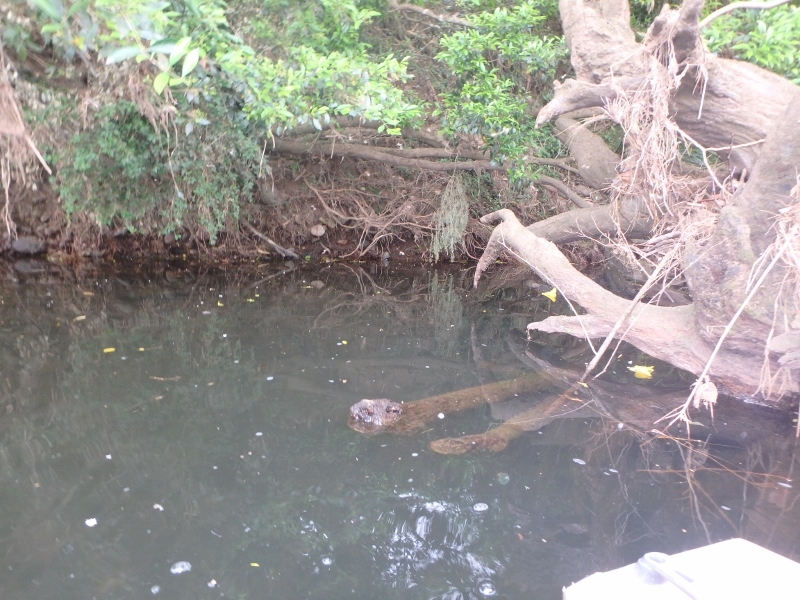 Upon reaching the first pool I could see a couple of monster carp cruising around the head of the pool and I decided I would try and jag one before we entered the pool. Believe it or not I did manage to temporarily hook up on one of the behemoths but the hooks pulled early and I was unable to rid the system of one of these pests. 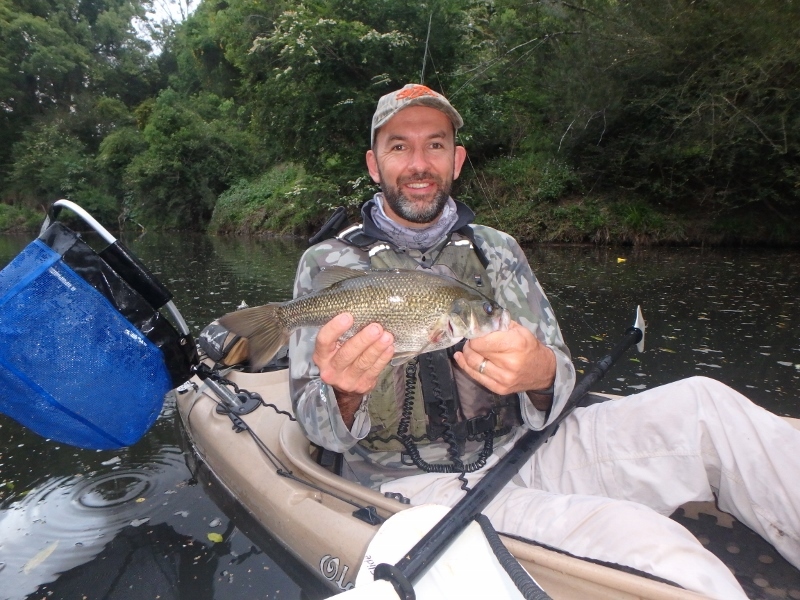 Soon after we slipped our kayaks into the pool and began throwing out a few casts in search of hungry bass. 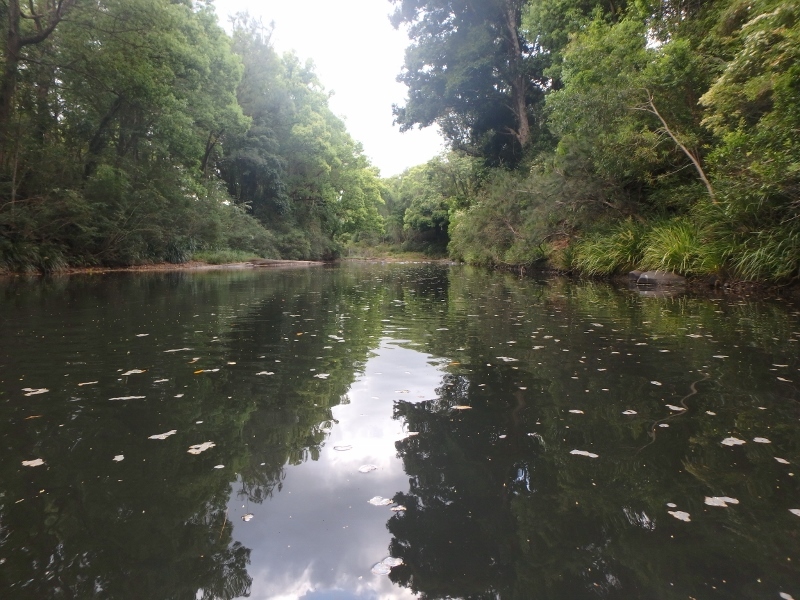 Heading up the pool I paddled into an area with some great looking structure, however the amount of surface debris meant that retrieving my Sammy 65 without fouling it was going to be difficult. 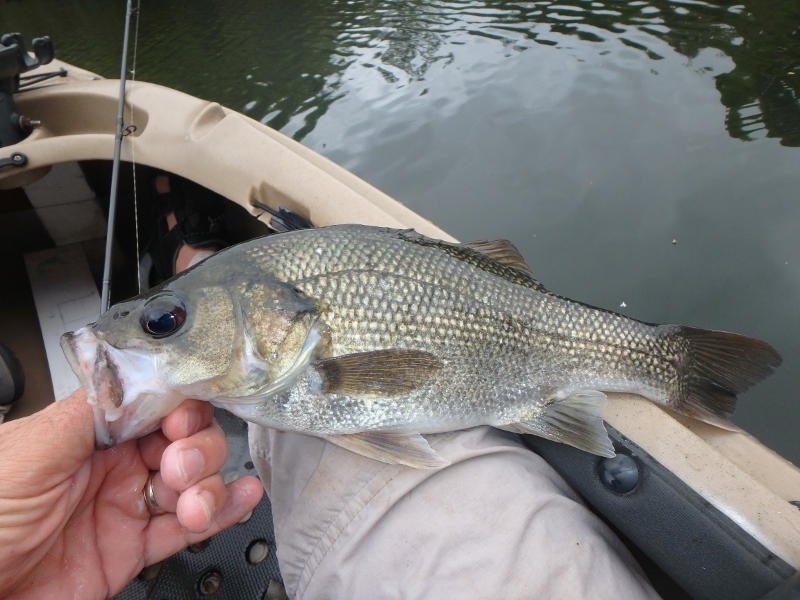 In these sorts of situations I find increasing the walking speed alleviates the problem, but can also reduce the catch rate if the bass are feeling a little lethargic. 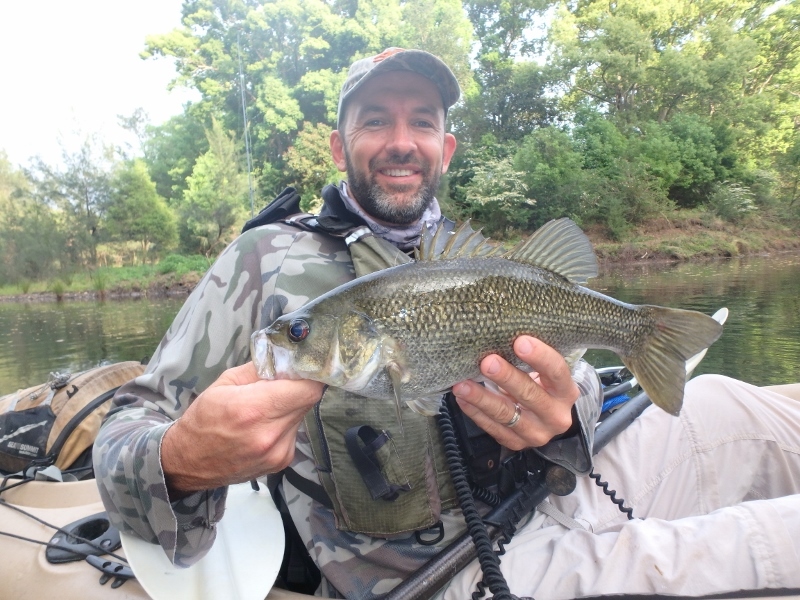 Luckily for me after a couple of casts, my lure was smashed by an aggressive bass and I netted my first bass for the morning in the mid- thirties. 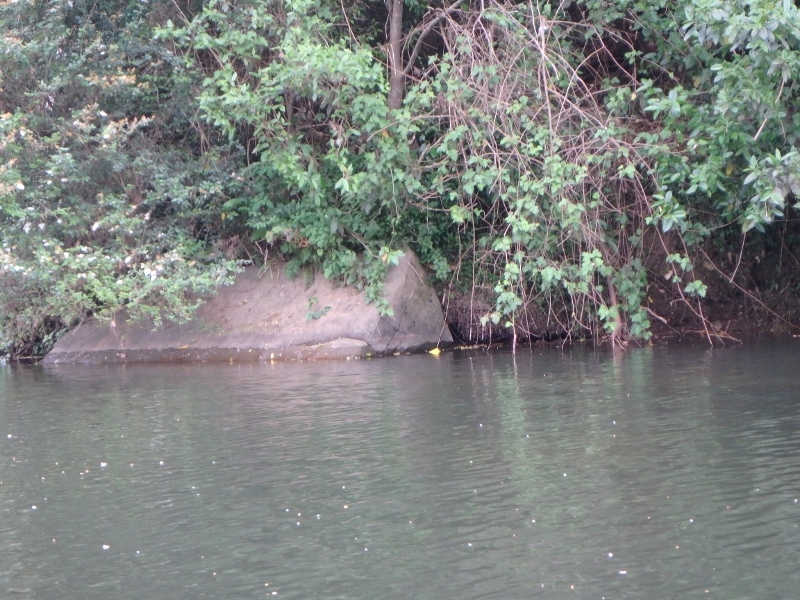 After a quick photo , I always get a good photo of the first fish in case it is my last, I re-positioned my kayak and was deciding on where to send my next cast when I spied a fish smashing a flower on the surface amongst the debris. 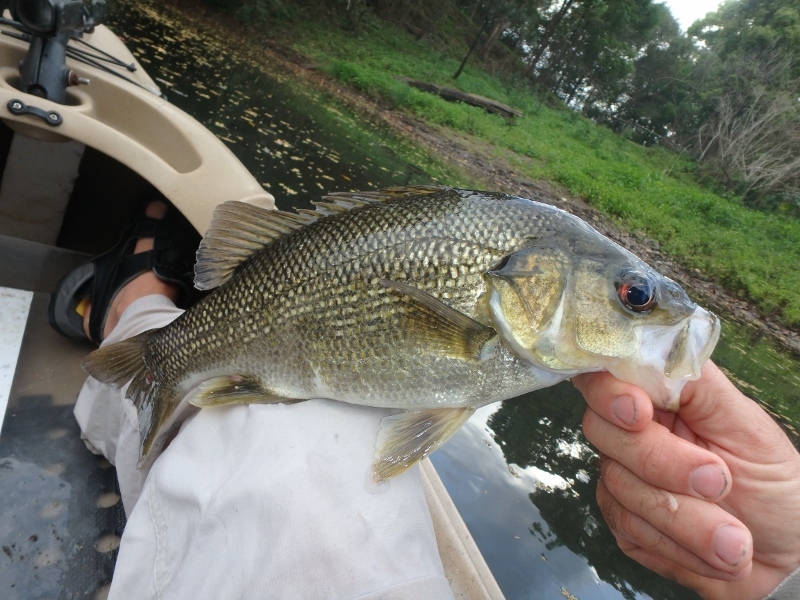 I quickly fired a cast into the area where he was feeding and he did not hesitate to smash my lure and I managed another bass this one a little bigger at 36cmFL. 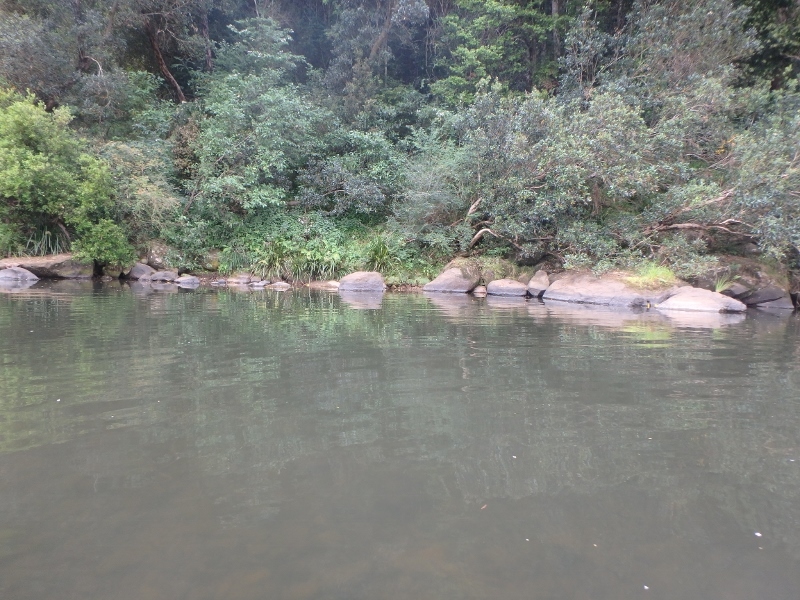 We continued downstream and had a little bit of a quite patch although the local platypus population was pretty friendly and was happy to come over and say hello. 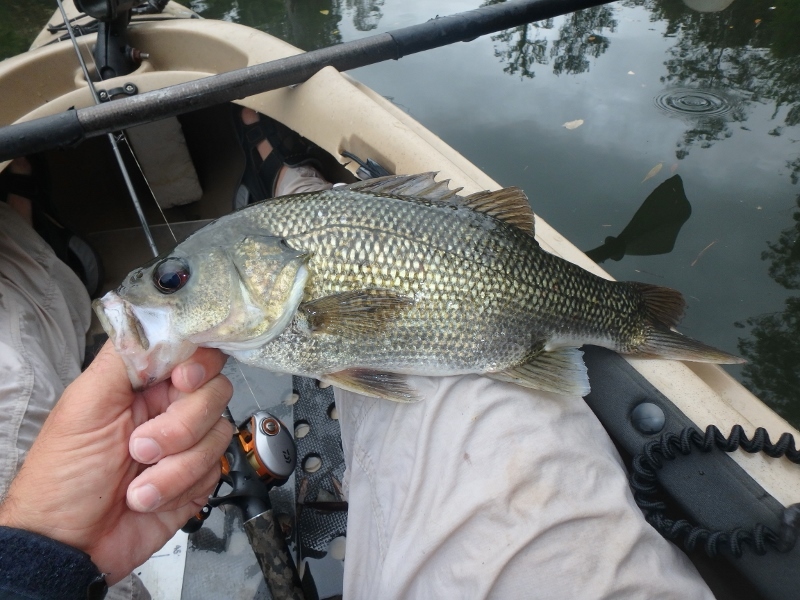 At one point I saw another bass smashing mullet near a large lay down, but he must have had a fill because I couldn’t entice him to hit my lure after repeated casts in the area. 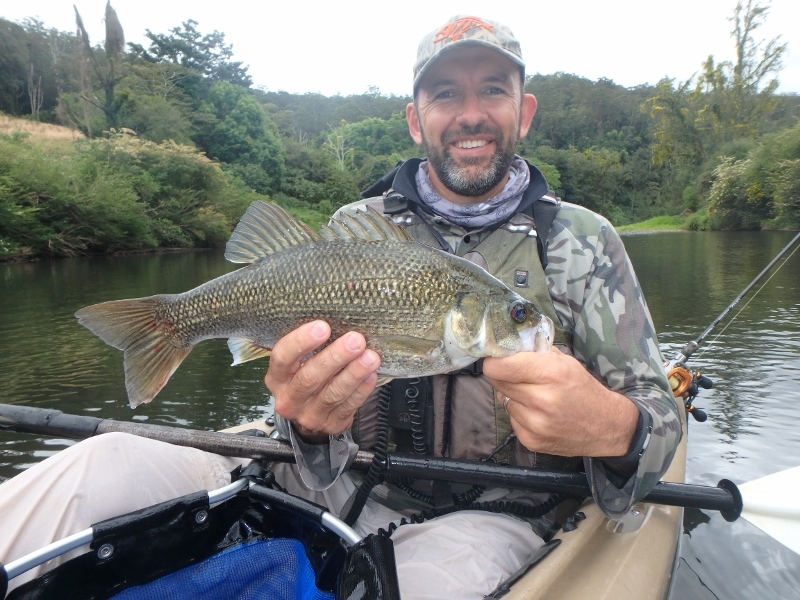 However, a few metres downstream a bass launched itself under a nice Lomandra fringe to smash my Sammy and I managed a solid 38cmFL bass. All of the fish caught in the morning were in amazing condition and were putting in a cracking fight once hooked. 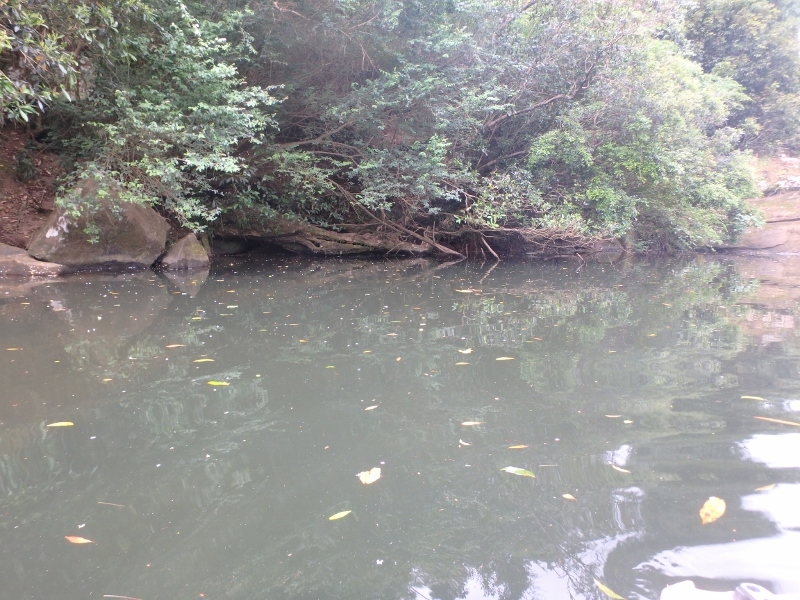 Although we were managing a few fish it was pretty slow early on with only 1 or 2 fish in each pool. 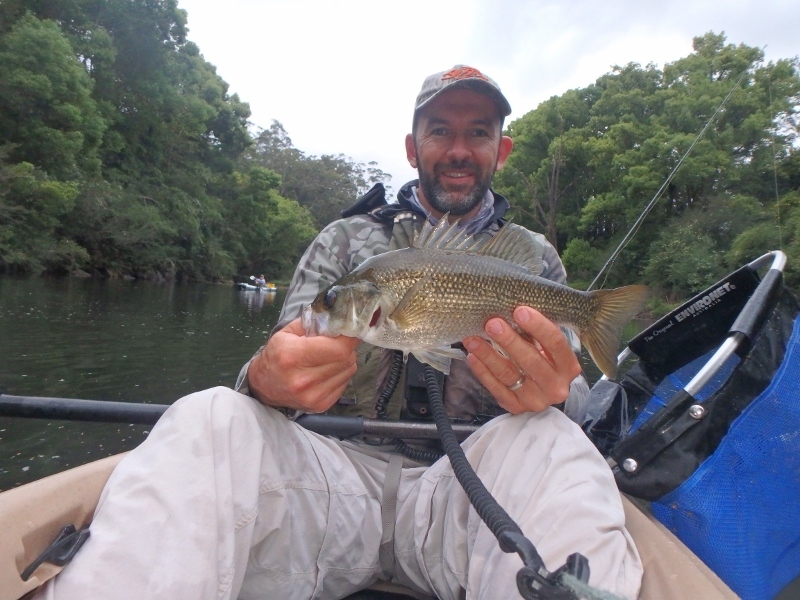 Luckily we had not missed a fish, and this continued into the next pool when a cast in was absolutely belted off the surface half way back to the kayak. This fish was better than my earlier bass and after a solid fight I managed to net a 40cmFL bass which is a good fish for this system. Soon after Rod managed his first for the morning at about 35cmFL and he was very relieved after a morning of fruitless casting. 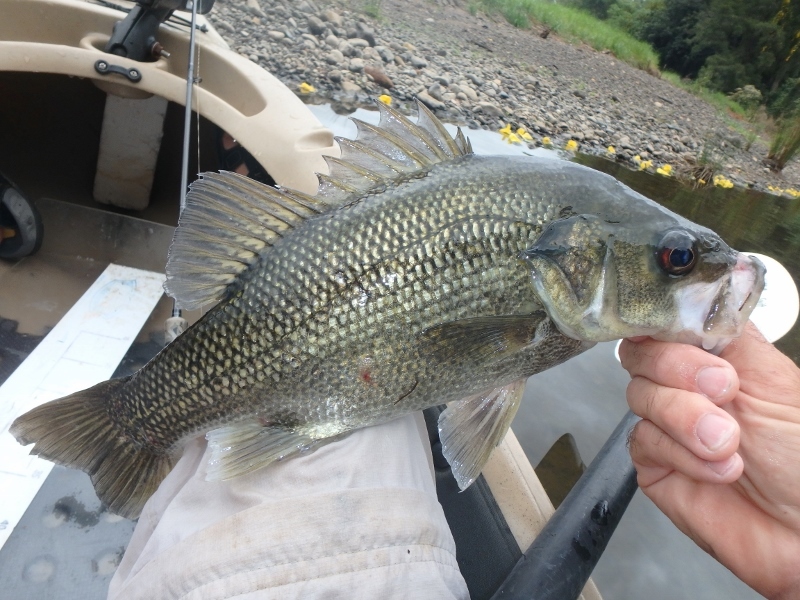 The next four hours were very quiet with only four bass caught in the time. 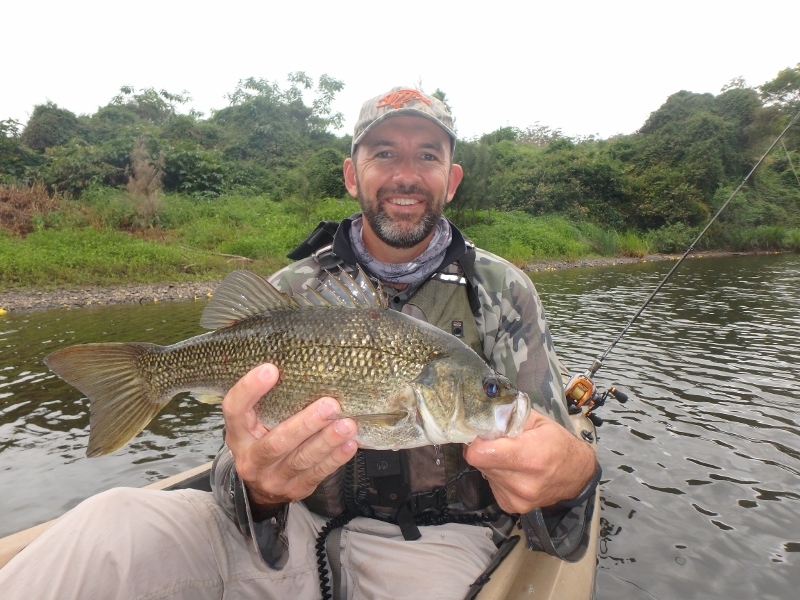 Although they were all solid fish in the mid – high thirties, and were fighting hard and dirty, it was still tough going with up to an hour between hits. 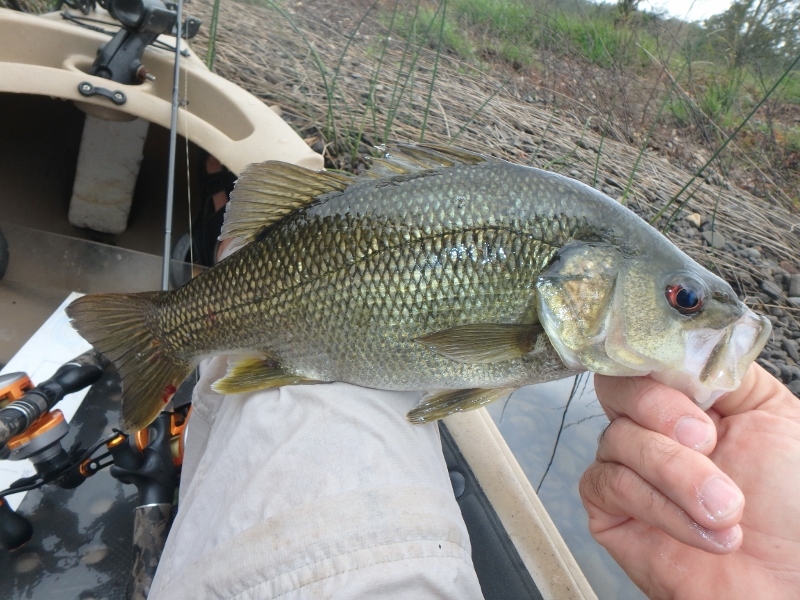 The saving grace was that we hooked up on every fish and did not drop a single bass during those quiet hours. The weather seemed to be continually changing as well between cold and drizzly to sunny and even some moments when the wind was quite warm. Whether this was causing the bass to behave a bit erratically who can say? 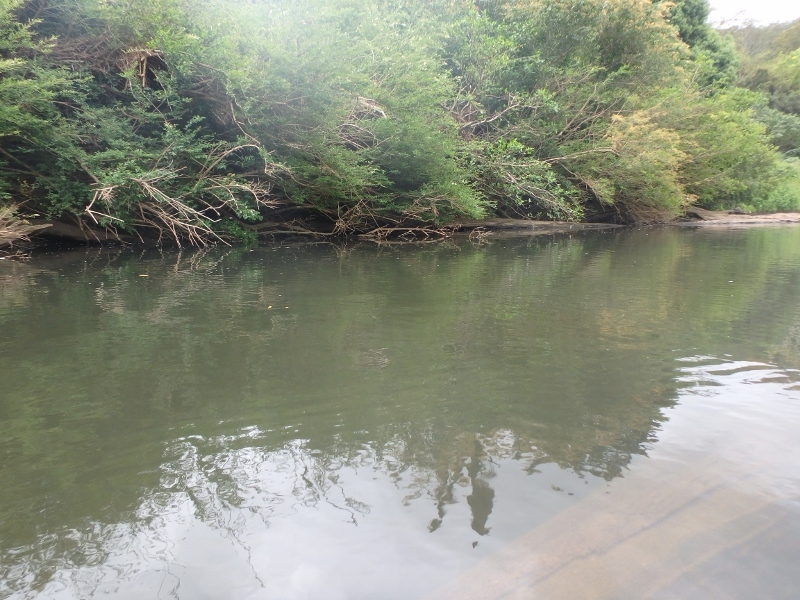 We reached a pool about 5km from our launch and as we headed into its first section of deep water both Rod and I missed bass on opposite banks. 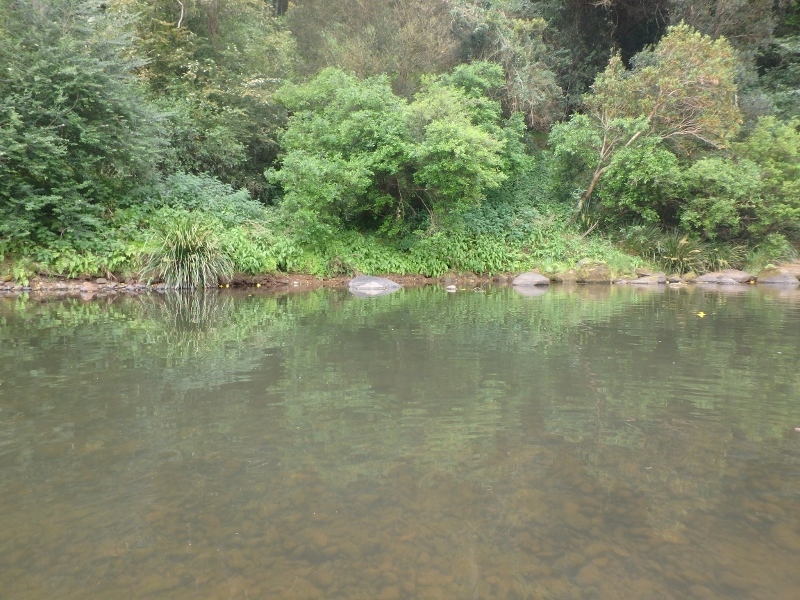 It was a great sign of a potential improvement to our session and this pool was a pretty long one with some great structure further downstream that had consistently held fish including sandstone boulders, large laydowns and tree stumps and Lomandra fringes. 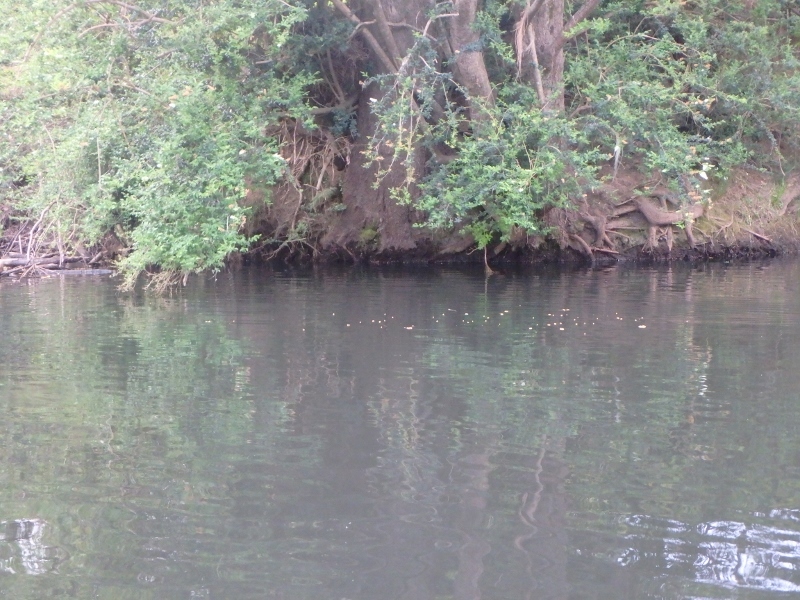 At one point I was casting at the edges and was just about to finish a retrieve. 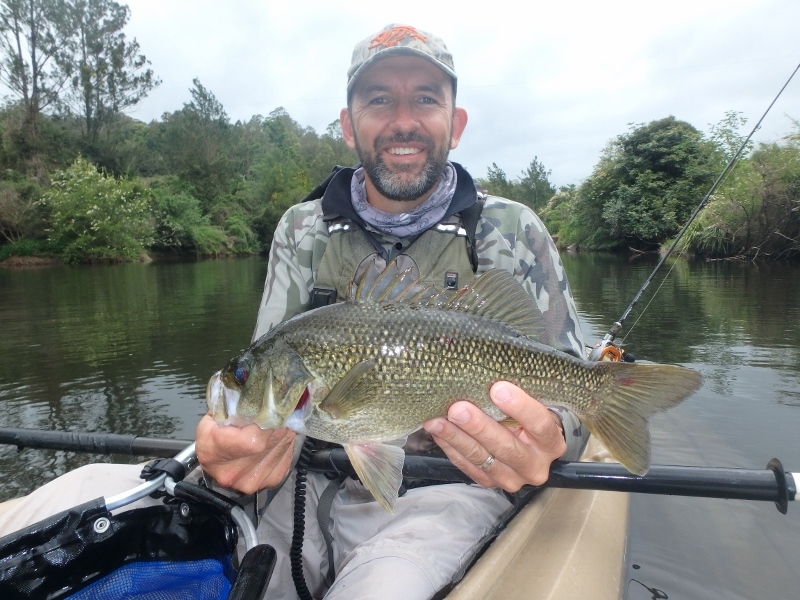 I was already scoping out my next cast when there was an almighty “boof” a couple of feet from the yak and I loaded up to a quality fish. Peering over the kayak I could see the massive laydown I had missed close to the yak and I was extremely lucky that the bass had hit on the side closest to the kayak and had headed straight out into open water. 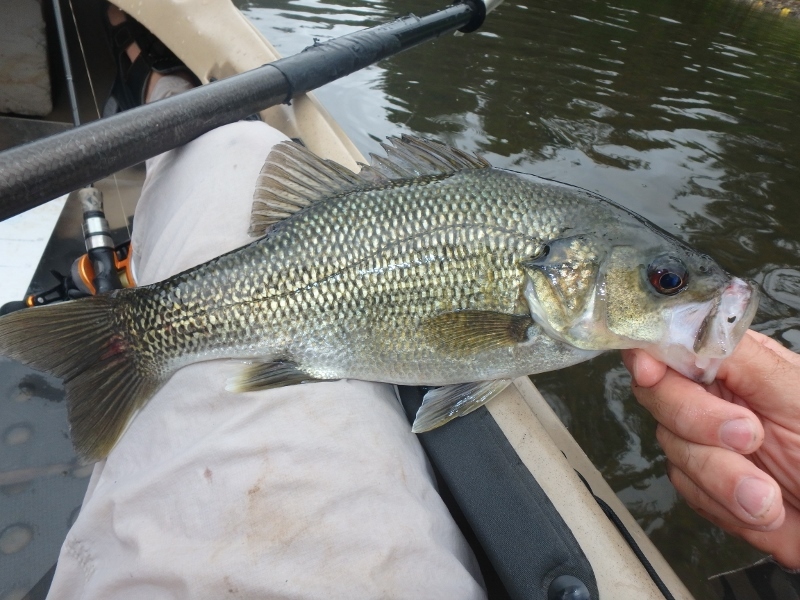 After a spirited battle I netted my best bass for the session at 41.5cmFL. We reached the boulder field and it was here the bass really started to fire with multiple hook-ups of quality bass all around the mid-high thirties as well as multiple misses. 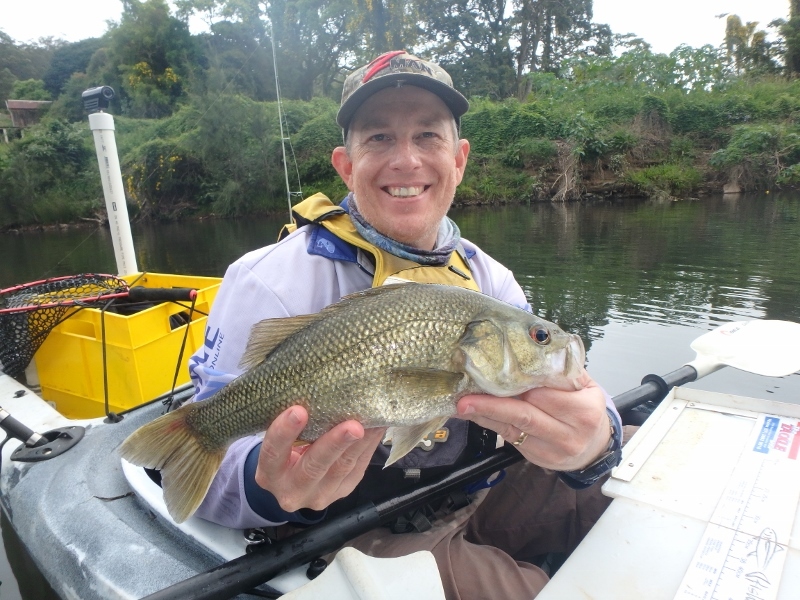 We had gone from 4 bass in four hours to 8 bass in under an hour, it’s amazing how quickly the quality of a session can change and it’s a good reason why I spend a full day out on the water. 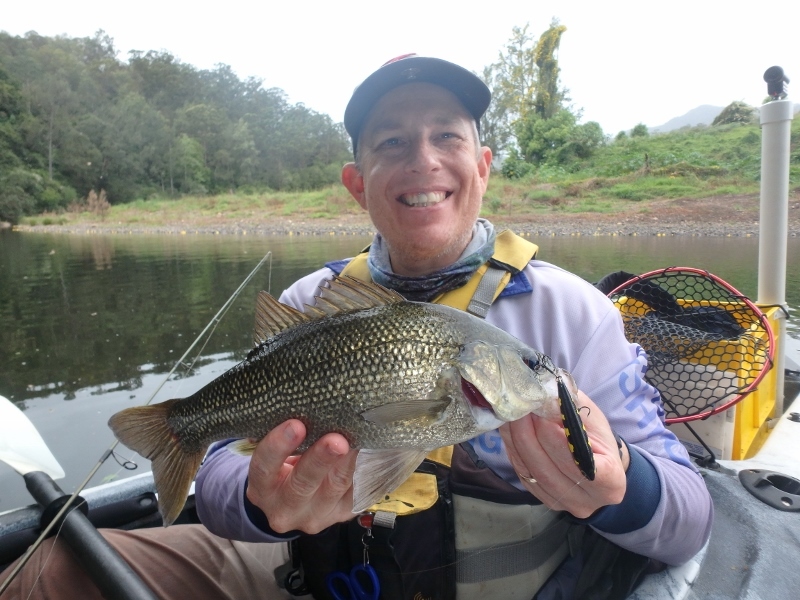 During this time I managed another quality 40cmFL bass that launched itself a few metres to smash my Sammy from what initially appeared to be a shallow section with absolutely no cover. 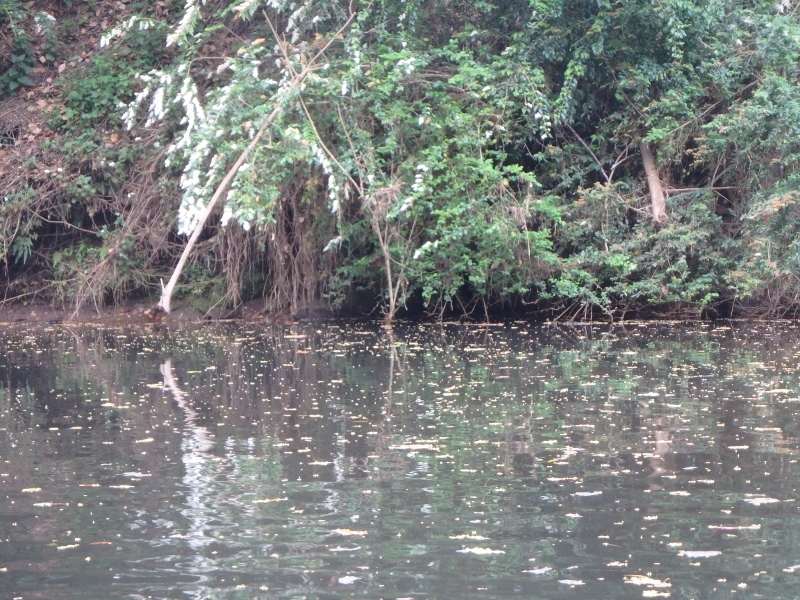 The hits during the day had been spectacular and this fish had visibly moved a long way to take the lure. 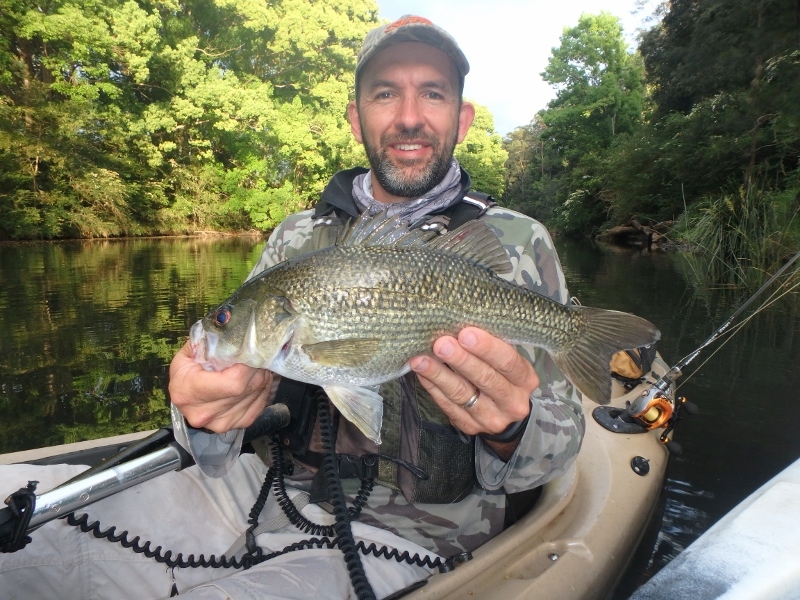 After I netted the fish I decided to head over to see where he had been holding as from my experience the bigger bass typically chose the best structures in the pool as ambush sites. I must admit I was very surprised when I found that his hidey hole had been ¾ of an old bath tub. 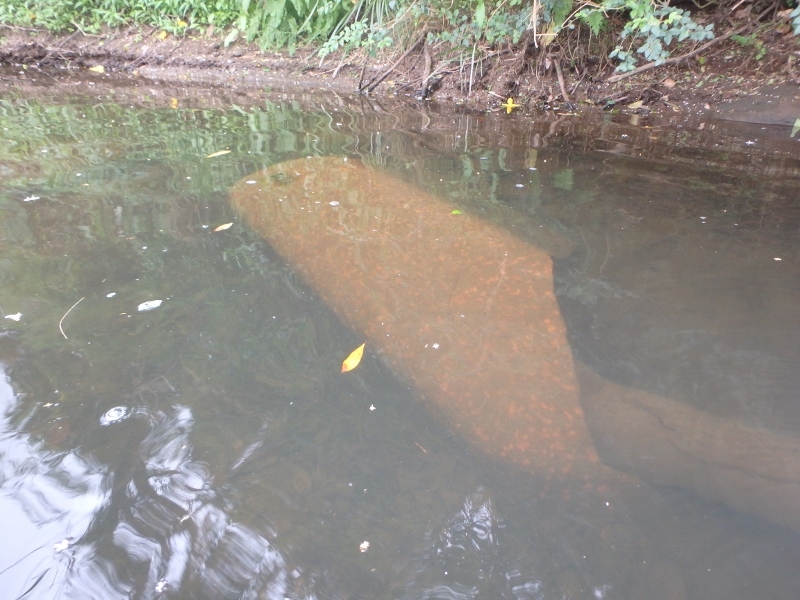 It had probably been used as a horse trough and had been washed into the creek and bounced down its length during high flow events. During the morning Rod had struggled to pick up a few fish and had been moving from lure to lure in the hopes of reversing his misfortune. I had been picking up the majority of my fish on my favourite Sammy 65 in Archer Bee and Rod had been reluctant to throw on the same lure. Strangely enough as soon as he succumbed to the pressure of the lack of action he started to pick up fish more regularly. You’ve gotta love this lure!! 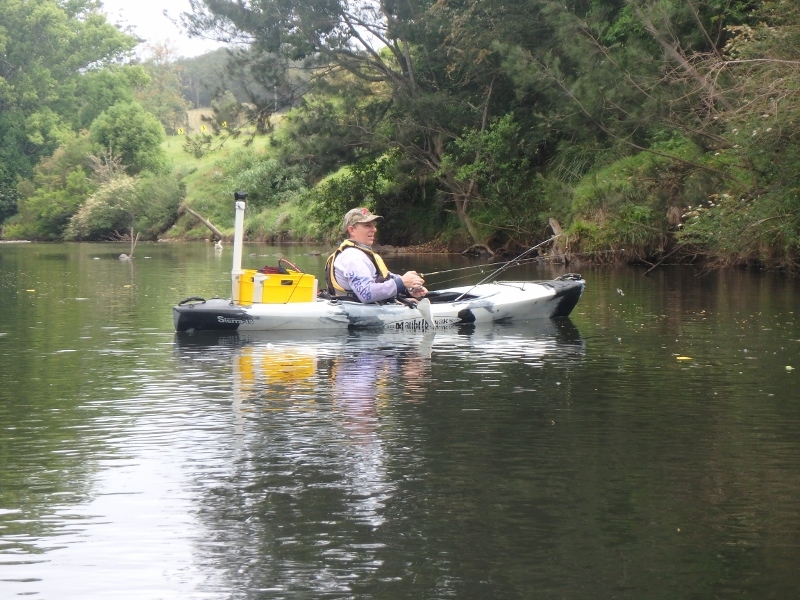 We continued downstream and regularly picked up some quality fish. We were amazed at the quality of the fish with only two being below 30cmFL and the majority being 34cmFL and above. 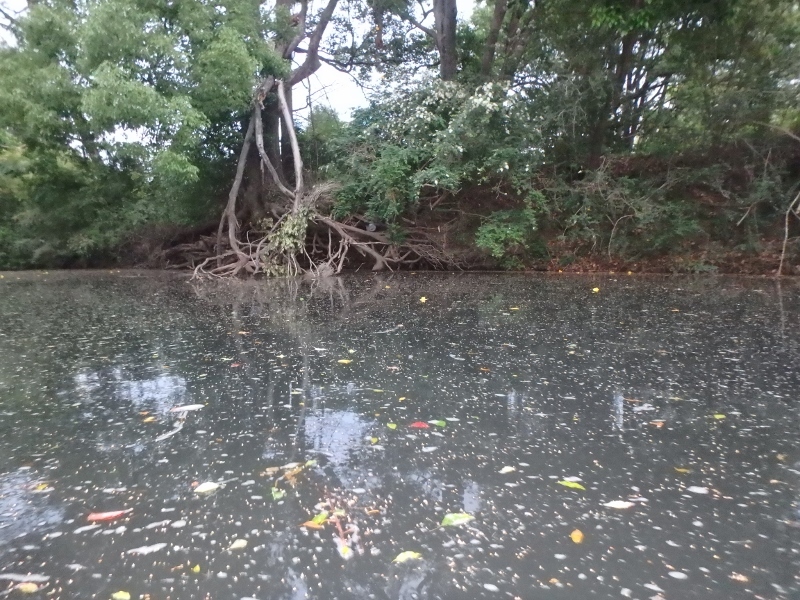 Sadly time eventually began to catch up with us as it always does in this system when the river is low. 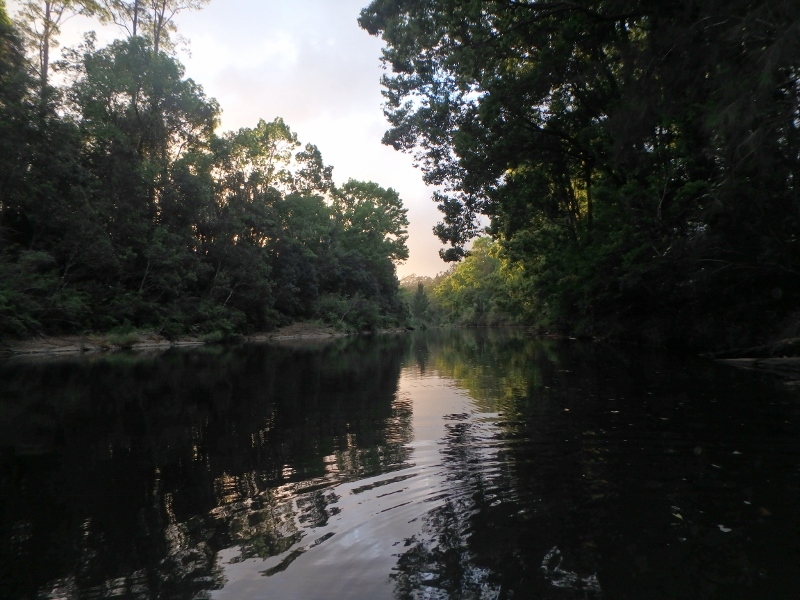 When the water is up a little we are able to paddle the rapids and it saves some significant time but when low the portage is a killer and we often spend the last few kilometres paddling more and casting less. 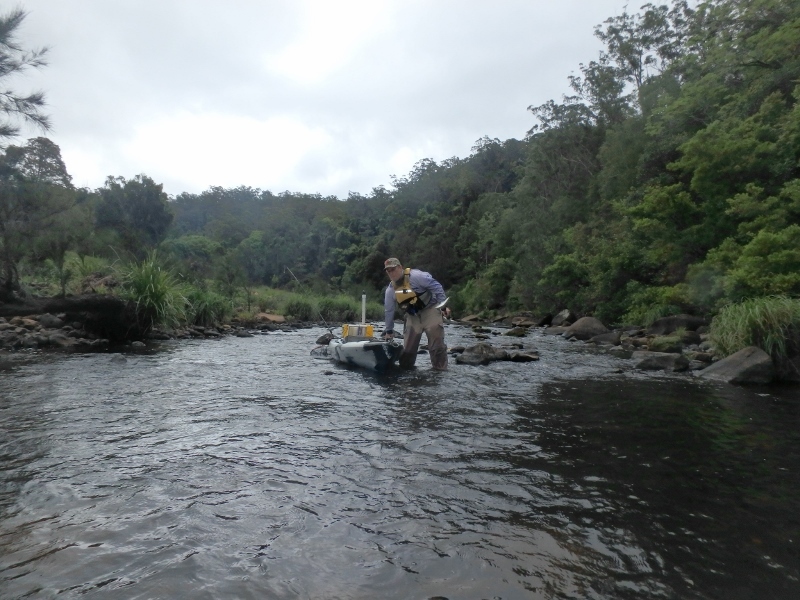 We missed quite a few fish in the last couple of hours as we rushed to get back to our cars and did not spend the time we needed to cast carefully. 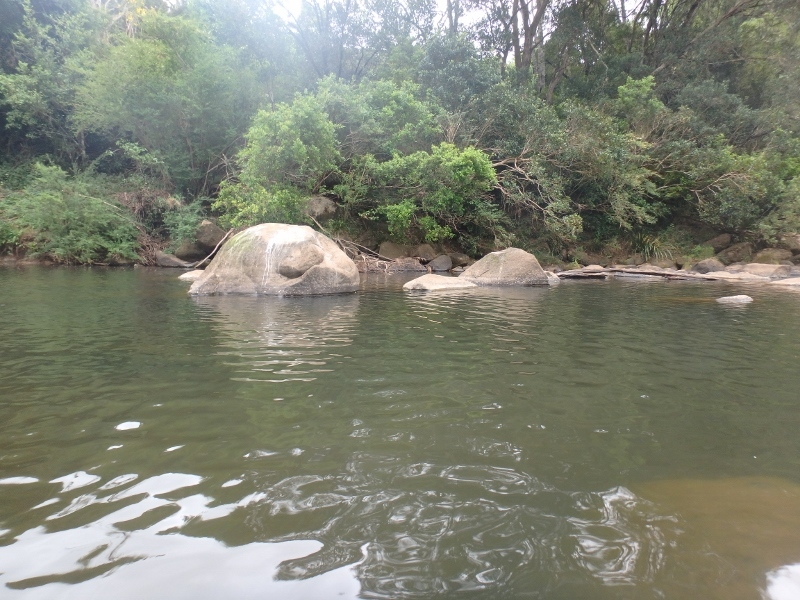 The wind had come up a little and although not terrible it still made casting a little uncomfortable and the more exposed pools. Eventually we reached our exit point exhausted but feeling pretty satisfied with the day’s effort. 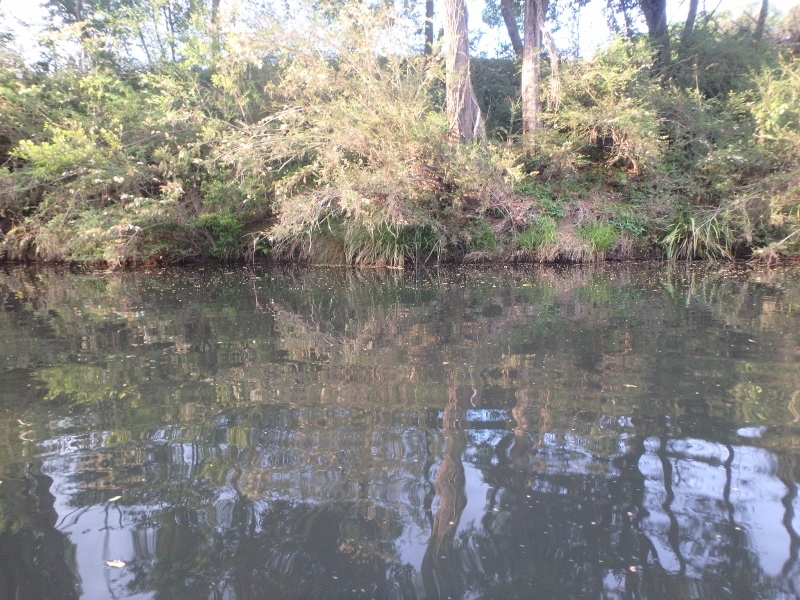 It had been a great day and we had accounted for over 30 bass with only two below thirty! I hope this season continues this well because so far it has been a cracker!